are aquifers that are more susceptible to contamination from activities on the surface, such as pesticide use or improper disposal/ storage of hazardous waste. In the RDN, we have several areas that are over top of vulnerable aquifers. These aquifers also provide drinking water to people on private wells. Residents of these areas need to be aware that their actions on the surface have a very direct impact on the groundwater beneath them! Generally speaking, Vulnerable Aquifers are near the ground surface, have a greater net recharge (lots of water flows into the aquifer), and are covered by a permeable type of soil such as sand and gravel. are the areas alongside a stream or river. They are very important for protecting water quality and providing habitat. Trees, shrubs and grasses along a river act to stabilize the riverbank and filter any water before it reaches the stream. If vegetation in this area is grazed or removed, there are no plant roots to hold the soil in place and the banks are prone to erosion. When the stream banks erode, soil and sediment enters the water, making it cloudy and smothering fish habitat. Vegetation along stream banks slows the rush of water into the river when it rains and filters sediments and contaminants in the soil before they enter the waterway. 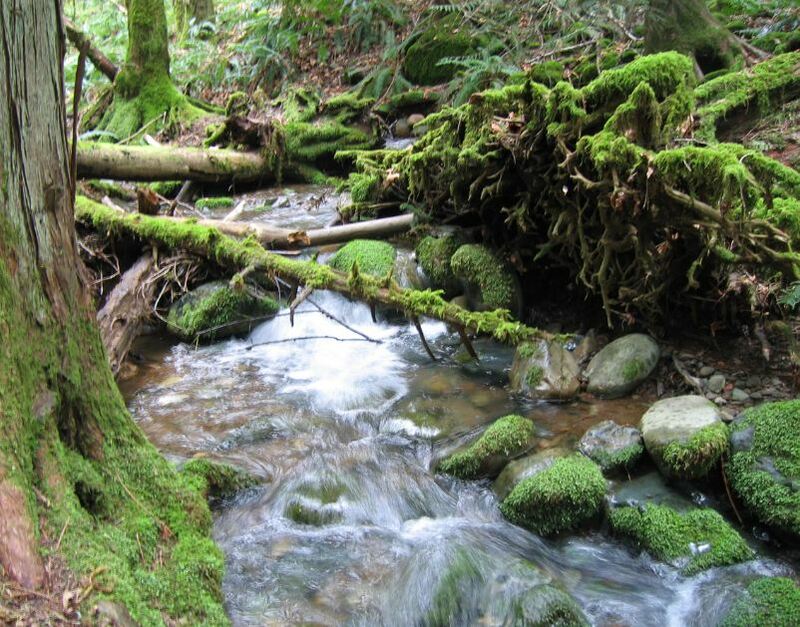 If you have a stream on your property, keep its banks vegetated! Check out the Pacific Stream Keepers Federation for information and certification courses near you! For information on government grants for environmental farm projects, see this list of funded Best Management Practices at the B.C. Environmental Farm Plan website.